The following gems of porcine wisdom have been taken from Spot Press, the newsletter of the Gloucestershire Old Spots Pig Breeders’Club, since 1990. 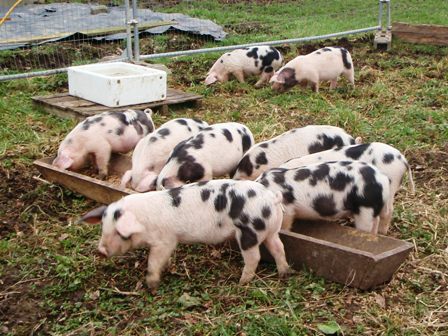 They all relate to high welfare, non-intensive husbandry but whilst they were written for keepers of Gloucestershire Old Spots pigs, they are almost entirely adaptable to any of the other rare and minority breeds. The people who have contributed have, between them, a unique and hard-earned knowledge of such pig management and we are grateful to everyone mentioned herein for their contributions. You may find small contradictions in some of the advice given.This is quite understandable as pig-keeping is not an exact science and both opinions will be equally valid so that you can make your own choice.